Red Quinoa Salad Made the List for 2010! First published in 2010, updated and republished in 2019. Spring’s come early to Missouri this year. In the country, the redbud appears especially pink against the dark green needles of the cedars, too bad the evergreens are invasive, the scourge of the Midwest. Here in the suburbs, the fern garden should be little more than fiddleheads, instead, full furls reach west to find full sun. But mine’s a northern soul. When it’s 80-something already in April, the calendar feels all rushed. "Slow down!" I want to demand. We’ve not yet had spring and already it’s feeling a lot like July and a surly-hot summer. The only consolation? Summer cooking is simple and spare, it takes just a spark of inspiration to throw together something for the grill, a salad from the garden, a fruity dessert. Last year I collected easy summer recipes all summer long. Already this year, my head and my grocery list are headed back that way. Come along, won’t you? Quinoa (it's pronounced KEEN-wa) is a high-protein grain that originates in the Andes Mountains of Peru although these days is raised across the world. It cooks quickly and is easily digestible, it's also gluten-free and considered a complete protein. It comes in two variations, red and white. While I love the drama of red quinoa's nutty-red color, it tastes just like the easier-to-find white quinoa. Red quinoa is just now showing up in St. Louis, I've found it at Global Foods in Kirkwood. Otherwise, look for regular quinoa beside other grains at Whole Foods, Trader Joe's and natural food stores. If your grocer carries Bob's Red Mill, look for quinoa there, or ask your grocer to order it. RESOURCES For more information about healthy grains, see this great guide to grains from Culinate. QUINOA Bring the water and salt to a boil in a medium saucepan. Add the quinoa and cook on medium heat until the quinoa fully cooks and the water cooks off, 15 – 20 minutes. If needed, drain. Stir a bit to help cool. ADD-INs Prep the vegetables and collect in a large bowl. For the moment, leave the feta aside. VINAIGRETTE In a small bowl, whisk all the ingredients. SERVE & SAVOR Stir the quinoa into the vegetables, add the vinaigrette and gently stir in the feta. Best served immediately but can be refrigerated to serve later, but save the feta to stir in just before serving. Serve atop fresh greens. ALANNA's TIPS Red Quinoa Salad is a concept salad, begging for adaptation depending on what’s in season and what’s on hand. So do make it "your way". Start with quinoa – or heavens, choose another grain, barley, kashi or couscous, even brown rice. Have fun with the add-ins, my choices slant to the Mediterranean but don’t stop there. 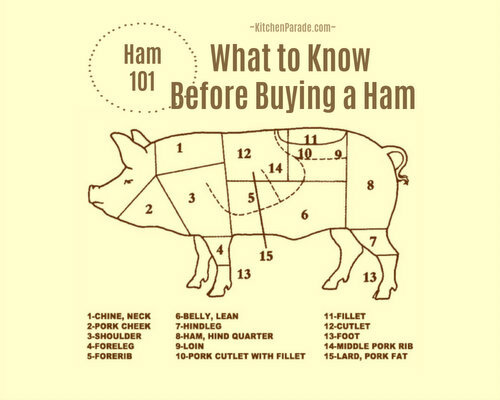 Just be sure to include the sharpness of some onion, a small dice of red onion or a sweet onion, say. You’ll also want something wet and something crunchy, something salty like olives or capers, something slightly sweet like fruit. Because it's so easy, so flexible, Red Quinoa Salad makes its way to our table every few weeks, it's definitely a year-round kitchen staple. My husband is an avowed meat eater and always finds himself surprised to find that this salad so filling and satisfying! NUTRITION INFORMATION Per main dish serving: 241 Calories; 8g Tot Fat; 2g Sat Fat; 10mg Cholesterol; 215mg Sodium; 34g Carb; 5g Fiber; 8g Sugar; 9g Protein. 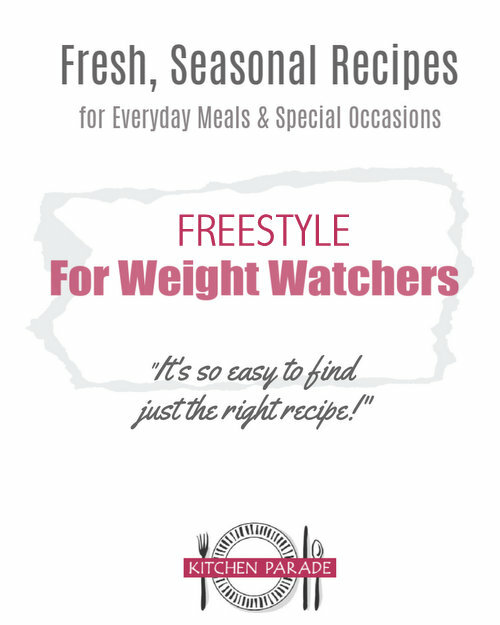 WEIGHT WATCHERS Old Points 5 & PointsPlus 6 & SmartPoints 8 & Freestyle 4 CALORIE COUNTERS 100-calorie serving = scant half cup (1g protein). This recipe has been "Alanna-sized" with reductions in fat. While our salads look not the least bit alike, mine is inspired by a red quinoa salad from Tara Austen Weaver, author of the beautiful blog Tea & Cookies (sorry, not currently active) and the just-published book, The Butcher and the Vegetarian: One Woman's Romp Through a World of Men, Meat, and Moral Crisis. I've never used the red quinoa. I must pick some up. Looks delicous! Btw, love your site. I'm totally adding it to my google reader right now.